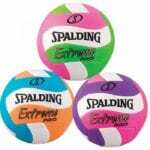 Beach volleyball is a great sport and can be enjoyed by professionals and amateurs alike. 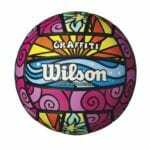 Aside from the fact that it is a fun and exciting sport, beach volleyball also offers a number of health benefits. 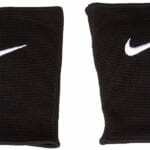 It is no wonder that it is among the most popular team sports in the world. 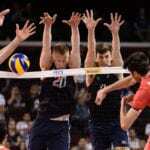 In fact, due to its popularity, it has been an Olympic discipline since the 1996 Games. 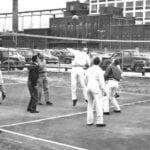 Two teams play on a sand court divided by a net. It is called beach volleyball for the obvious reason that it is played on the beach. There are a number of beautiful beach volleyball destinations around the world. The following are the top 5 beach volleyball destinations. Beach volleyball is very popular in Brazil. The locals enjoy the sport so much, the government decided to create beach volleyball facilities along Copacabana Beach. This beach is one of the world’s most striking and famous beaches that offers a mix of tradition and glamour. The stretch of white sand with the view of the statue of Christ the Redeemer should definitely be on your travel bucket list. Volleyball enthusiasts come to Copacabana for its beautiful white sand, epic view and ocean blue skies. This beautiful sandy beach is 4 kilometers (2.2 miles) long. It begins at Princesa Isabel Avenue and ends at Posto Seis. It’s home to large sporting events such as beach volleyball and soccer world championships. Copacabana stadium hosted the 2016 Olympics beach volleyball tournament. California coast is arguably the beach volleyball capital of the world. Among California’s top beaches is the Manhattan Beach. It is one of the three Beach Cities that make up the South Bay. Not only is it one of the most beautiful beaches in Southern California, but it is the mecca of beach volleyball. There are more or less 100 beach volleyball courts available along the Manhattan Beach strip. It is a two-mile-long beach which starts at 1st Street and ends at Rosecrans Avenue. The beach is impeccably clean, and wide attracting over 3.8 million visitors annually. In addition, Manhattan Beach is also the home of the AVP Manhattan Beach Open. The Manhattan Beach Open, also known as the AVP Beach Tournament, is a beach volleyball tournament held annually during summer since 1960. This famous Beach Open features the most elite players. 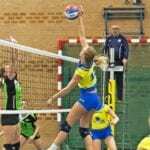 It is the only professional volleyball tournament in which amateurs are able to “place into” the event through pre-qualifying rounds. The winners of the tournament are memorialized with bronze volleyball-shaped plaques in the “Volleyball Walk of Fame” which spans the length of the Manhattan Beach Pier. Today, the tournament draws an estimated 60,000 people making the beach one of the top 5 beach volleyball destinations worldwide. Kitsilano Beach is one of the most popular beaches in Vancouver. Mostly referred to as the “Kits Beach”, it offers a stunning setting to play volleyball. The beach features both a breathtaking view of the ocean and a magnificent mountain. The Kitsilano Beach has eight permanent beach volleyball courts which are free to use on a first come, first serve basis. In the warm summer months the beach is packed with sunbathers, swimmers, frisbee players, tennis players and beach volleyball players. And some of the most competitive beach volleyball players in Vancouver play and train in the Kits. Kitsilano Beach also hosts the annual Vancouver Open Pro Beach Volleyball Tournament. The Vancouver Open is a 3 day, 64 teams, 2 players per team, beach volleyball tournament featuring the best volleyball players from around the world. It attracts over 20,000 spectators each year from all over Canada and North America. The tournament offers activities for all ages including a youth volleyball tournament. Karon Beach is one of the longest beaches and one of the most popular holiday destinations in Phuket. It is located on the West coast, between Patong to the North and Kata to the South. With its magnificent scenery and powdery white sand, Karon Beach has become one of the top 5 beach volleyball destinations. This beach hosts a number of beach volleyball tournaments including the 2013 FIVB World. 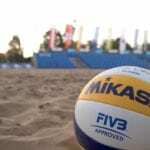 FIVB Beach Volleyball World Tour is the worldwide professional beach volleyball tour for both men and women organized by the Fédération Internationale de Volleyball (FIVB). Karon Beach is also home to the Phuket Beach Open Tournament which promotes and support the beach volleyball culture in Phuket and embraces it as Asia’s premier beach volleyball hotspot. 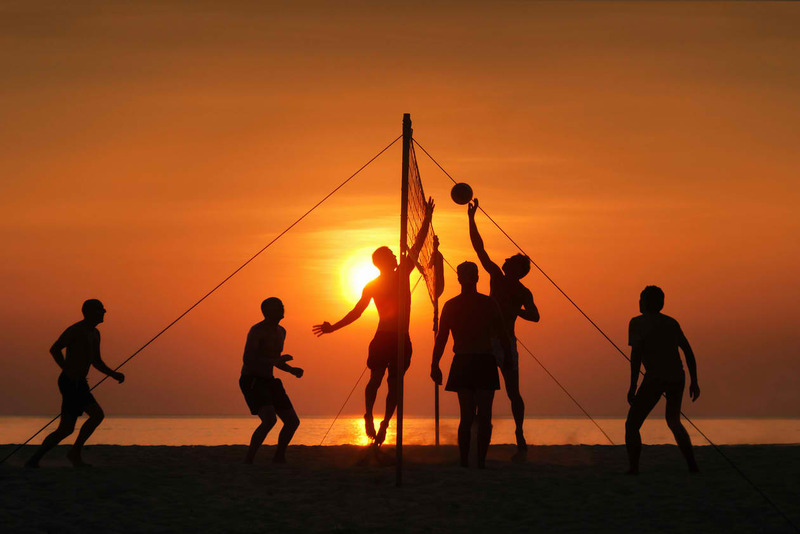 The tournament is the largest annual beach sporting event in Southeast Asia. North Avenue is one of Chicago’s premier beaches. It is a remarkable mix of beach and city which makes it a favorite beach volleyball destination among volleyball aficionados. It is a fairly large and well-maintained beach with rentals available including bikes, chairs and volleyball equipment. 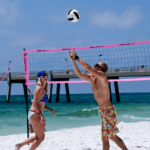 There are 50 volleyball courts along the North Avenue Beach strip. The Chicago Park District lines the beach with poles for individuals and leagues to hang volleyball nets. Weekends the beach is full of sunbathing, swimming, and biking enthusiasts along with the volleyball players. On weekdays, leagues practice with the city skyline in the backdrop. The North Avenue Beach also hosts international volleyball tournaments and it is the most popular location for a beach volleyball tournament outside of California. Not to mention that the beach is also home to the annual AVP Chicago Open which draws thousands of people every year. These beaches are the top beach volleyball destinations that you should check out. 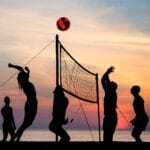 Beach volleyball enthusiasts like you will definitely experience the best beach volleyball games on these beaches.